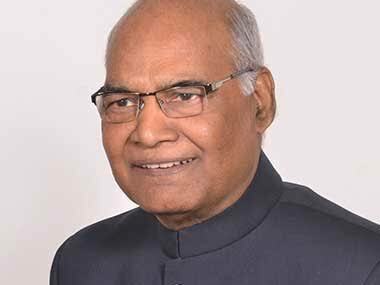 RAM NATH KOVIND HAS BEEN ELECTED THE PRESIDENT OF INDIA WITH A HUGE majority. The ‘communal’ upper-caste BJP had made another ‘Dalit’ the President. 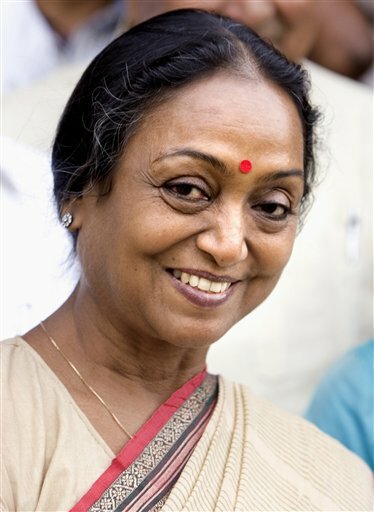 Meira Kumar, put up by the ‘united’-(only over 130 cross votes)-Opposition for her caste (belonging to a ‘Dalit’ or oppressed caste) and her dynasty (daughter of Jagjivan Ram, for long THE face of the Dalits in Congress party and a minister for decades) has proved, by getting over 34 per cent votes, that caste still counts, but is not the determining factor. The political culture the Congress party nurtured has made it a dominant feature of Indian politics. So it was no surprise that a photograph that went viral over social of media (see above) mentions the caste of senior BJP leader Advani (expected by many to be next President), the President-elect and Prime Minister Narendra Modi. It did not matter that 1,581 voters with a criminal record voted in the election. Out of them 3,640 are “crorepati MPs” (millionaires). The Association for Democratic Reforms has revealed that out of the 4.852 MPs/MLAs eligible to participate in the election 1581 (33%) members have declared criminal cases against themselves in self-sworn affidavits. The role of big money in “democratic” elections everywhere need not be stressed. Add to this the coercive power of those with musclemen working for them and the three ‘C’s of Indian politics – Caste, Cash and Coercion – become evident. 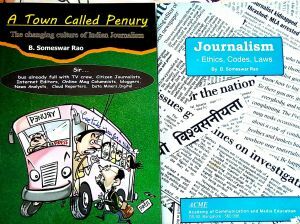 In earlier posts I called writing on politics “scavenging with pen”. As a journalist I hated to be known to Ministers and those in power, though contacts matter in the profession. And yet many of my posts are about politics – mostly Indian. Politics pervade every aspect of life in this developing country. Reason, ideology and welfare of the majority have no role in it. According to Congress Modi is the Prime Minister of the BJP-led coalition and not India. Opposition it thinks, has to support China or even the terrorists. Electoral politics have fallen to this level. Will Kovind be a “People’s President” in these tragic circumstances? MEIRA KUMAR, THE CONGRESS CANDIDATE FOR the upcoming President of India election says her nomination by the Opposition “united” against the ruling National Democratic Alliance was a ‘matter of ideology and giving it a communal or caste colour was unfortunate. If you don’t take it as the joke of the decade, you may ask:What is the ideology involved? 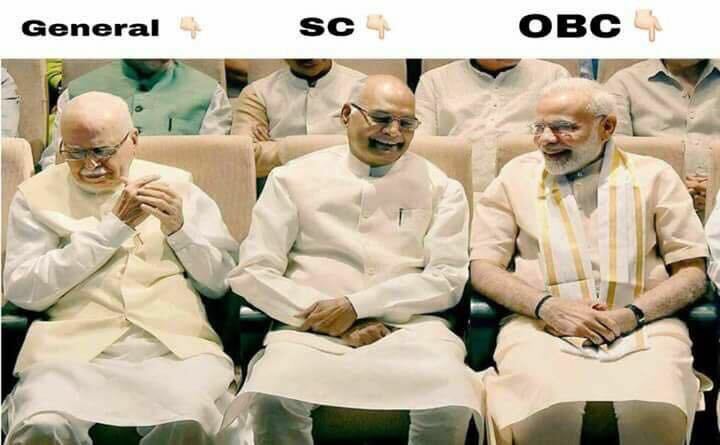 The NDA announced its candidate, Ram Nath Kovind, a Dalit (belonging to oppressed and downtrodden castes) first. Till then the “united” opposition was speaking in different voices. THEN it announced the name of Meira Kumar whose qualification is the daughter of Jagjivan Ram, for decades the face of the Dalits in the Congress. Both caste and dynasty qualifications fulfilled. Earlier the “united” opposition toyed with the idea of putting up Dr. M.S.Swaminathan, an eminent scientist and father of India;s green revolution. A victim of North-South politics when he was director general of the Indian Council of Agricultural Research (popular as Pusa Institute) from 1972 to 1979, he became the Director General of the International Rice Research Institute (1982–88) which is located in Philippines by the Food and Agriculture Organisation of the UN as India, the rightful claimant as the major rice-producing country, did not show interest and pursue the matter.